Strings of magical festoon lights and antique mason jars bursting with floral beauty get evening guests ready for a country barn wedding! 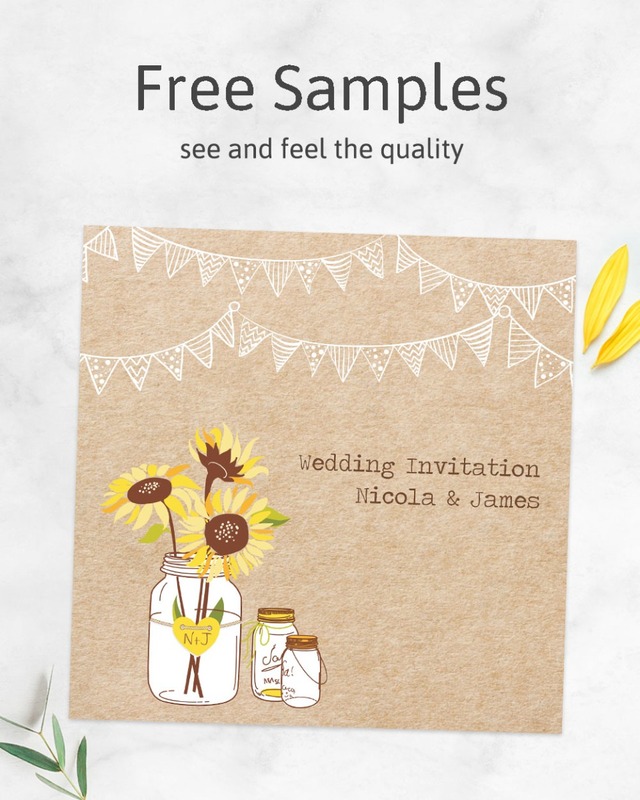 This invitation suite is personalised with your own wording. The rustic brown paper background is perfect for a countryside or woodland wedding theme, while the botanical decoration provided by the vintage jars adds more natural vibes. The invite and RSVP are tied together with twine string and a label, providing the perfect rustic finishing touch! ~ Evening Invitation with Scalloped Edges (125 x 178 mm). ~ RSVP Card with Scalloped Edges (105 x 148 mm). ~ Rustic string and a hole-punched tag. ~ Optional Guest Information Card for 65p (115 x 170 mm). ~ Free email proof within 1 working day of placing your order. ~ For same day dispatch, approve your proof before 12:30pm, Monday-Friday. ~ Please contact us if you need your order urgently, and we will do our very best to help.